A Moonlight mission is a backcountry adventure through goldmining history. An epic single track traversing from Arthurs Point around towards Ben Lomond Station and Moke Lake. Like a challenge ? The Moonlight Trail will take approx 5 hours of undilating riding, with some steep ascents. 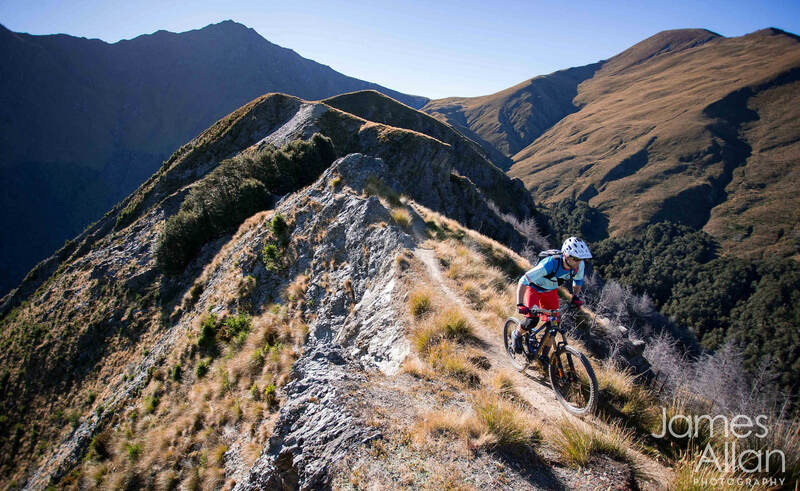 With stunning scenery looking across Skipper Canyon, the trail is undilating following sheep tracks, old goldmining routes and water races high above the Shotover River. From Moke Lake you can follow the trail onto Diamond Lake and down Phoenix ending at 7 Mile – or take the road out and descend Golddigger from Moke Lake Road. For a real backcountry adventure try taking the route over Ben Lomond saddle, descending Missing Link into the Skyline Bike Park! Queenstown Bike Taxis can drop you off at Arthurs Point and is ready to whisk you back to Queenstown at the end of an epic ride. Arrange your pickup from 7 Mile or the bottom of Golddigger Trail.